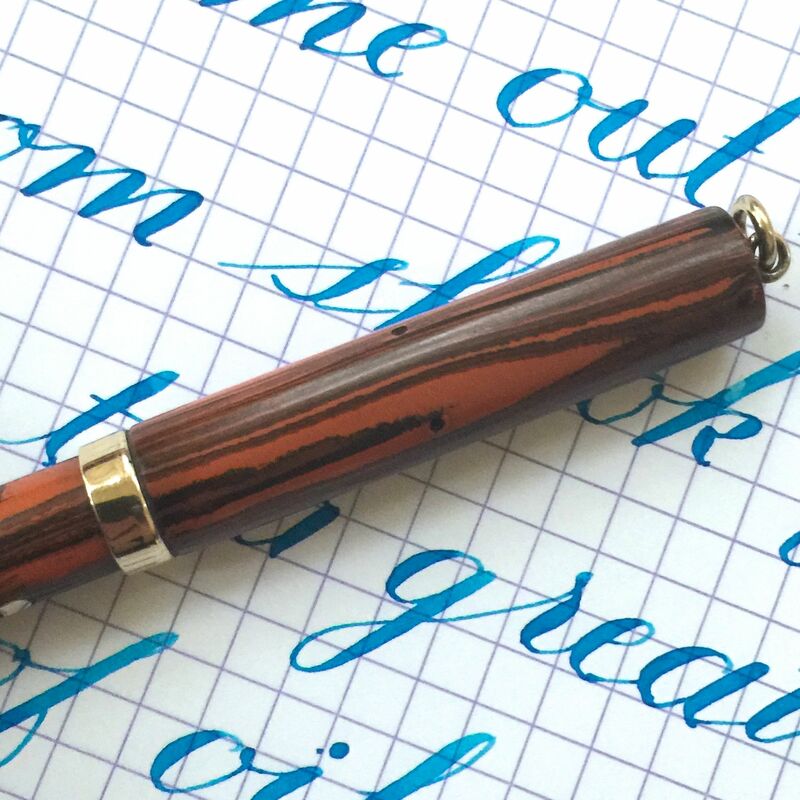 Here is Waterman 52 1/2 V in red mottled hard rubber. The pen is in excellent condition. There is a little bit of fading to the hard rubber, but it still has pretty good color. The gold-filled trim is also in good shape. There is a tiny bit of brassing on part of an edge on the band, but that is all that I see. Imprints on the side of the barrel are a little faded but readable. The “52 1/2V” on the back is good and crisp. 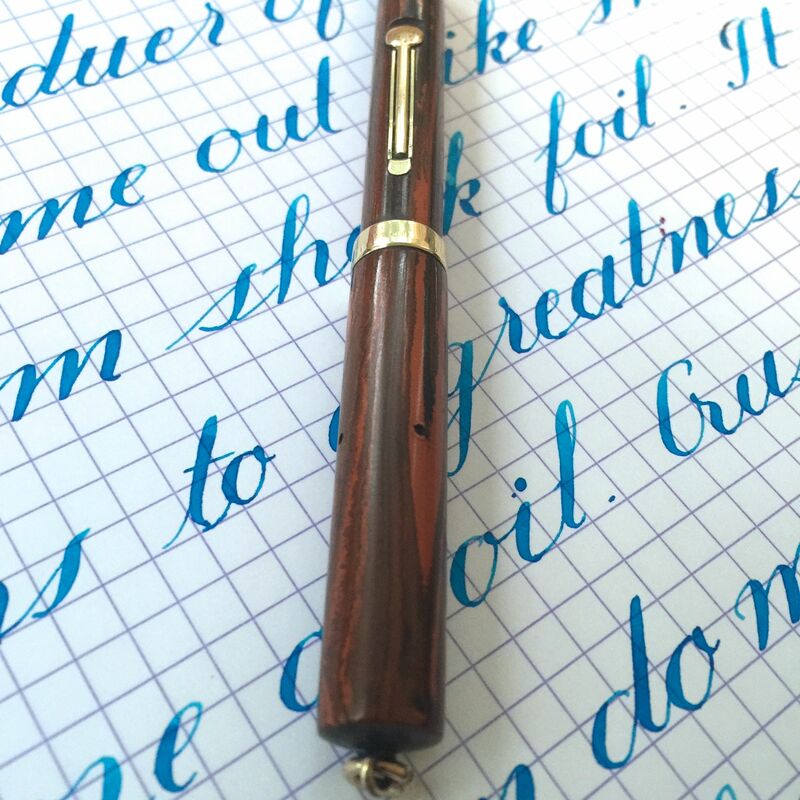 The beauty of this pen is it’s nib. It is a wet writing F that is oblique. 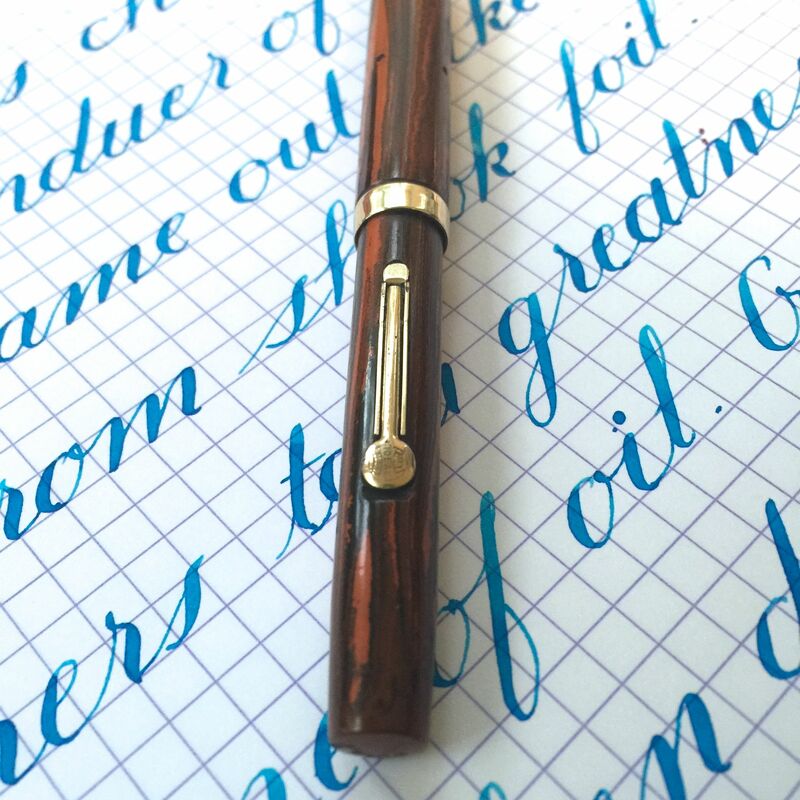 The oblique tip makes normal writing look more stub like and it makes the flex writing more crisp. 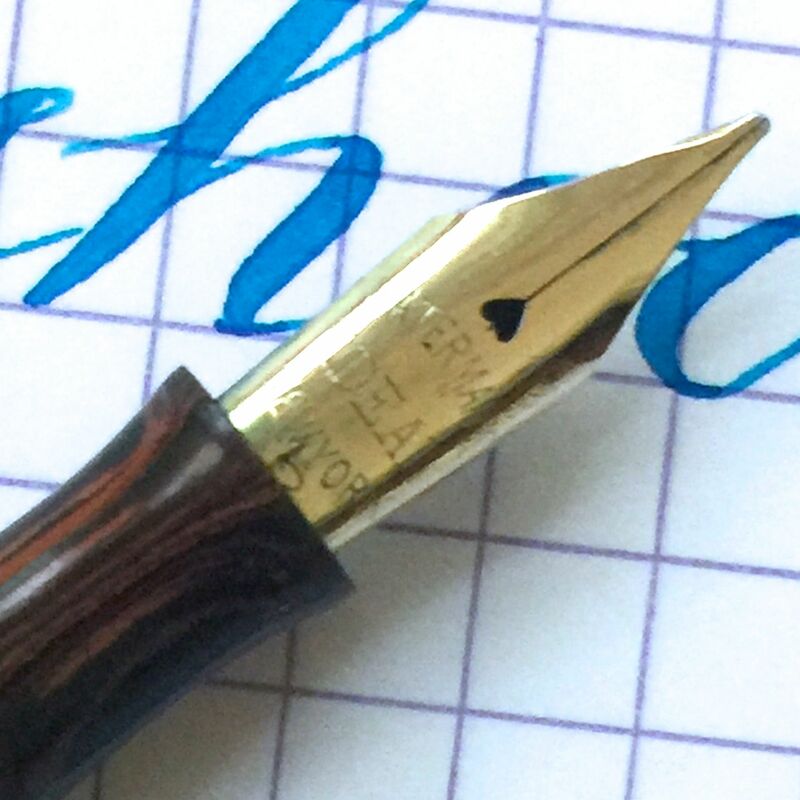 The nib has fantastic flex with a range from F (0.4mm) to BBB+ (1.9mm)! That is a pretty massive range. 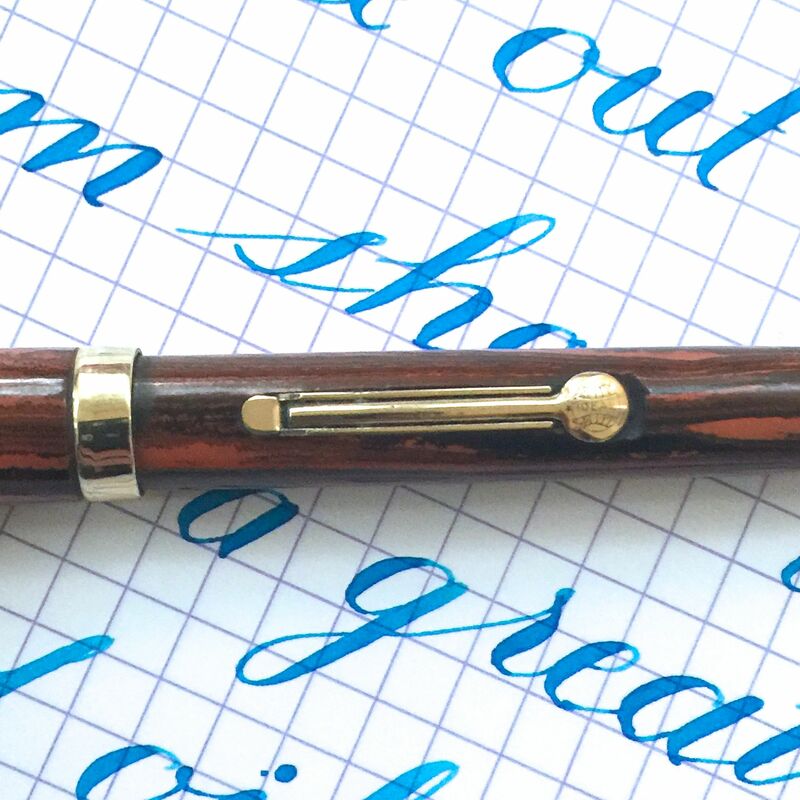 The nib is soft and nearing wet noodle in ease of flex, but it isn’t quite there. It also has a great springy feel to it with good responsiveness. 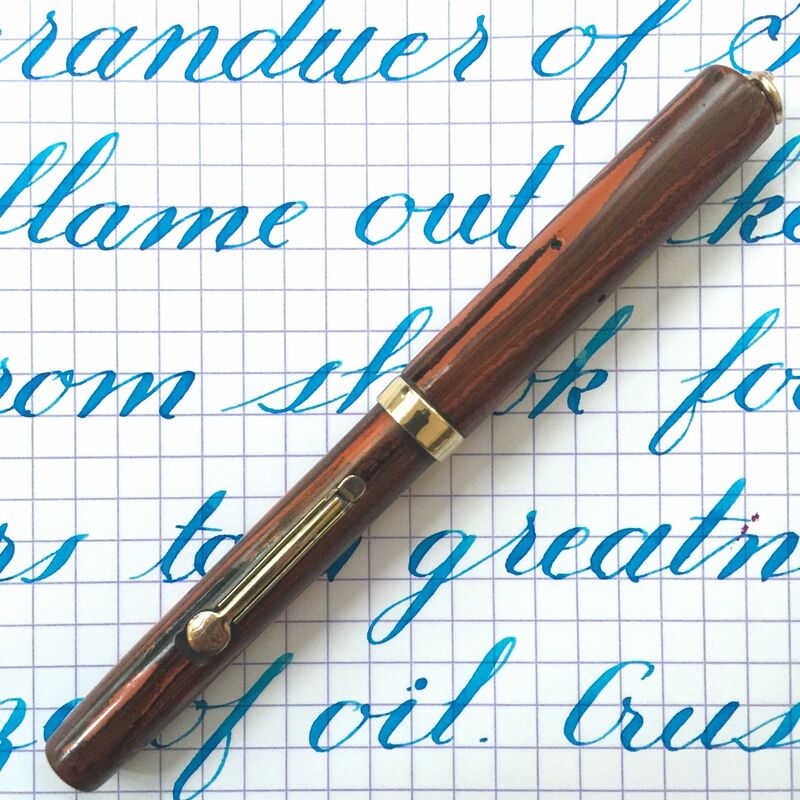 It’s a fantastic, unique pen.